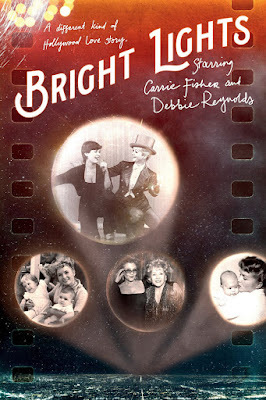 I first heard of Bright Lights: Starring Carrie Fisher and Debbie Reynolds when a local theater invited me to a free screening of the documentary in mid-December. Though I was not able to attend, the film is now showing on HBO and available on the channel's streaming service. Now that I have seen it, I've thought a lot about how differently it would have affected me if I'd caught that screening. The film focuses a great deal on Reynold's failing health and Fisher's fear for her well-being, a sad reversal of what would play out in the year after its filming. In this documentary of perhaps the most famous mother/daughter actresses in modern history, you are presented with a loosely organized series of incidents in the lives of these two remarkable women. There's no great effort to dig deep into their lives or find any coherence in all of it. 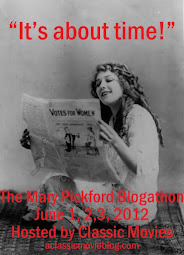 You are simply invited to observe: sometimes there is a great revelation, and bits of their history bounce around, but for the most part it simply offers the privilege of spending time with these women and the people who love them. You see them interacting with their fans. Reynolds is shown giving her last performances in Las Vegas, barely able to walk, gingerly singing her classic songs and yet enveloping her audience in irresistible warmth and charm. Fisher attends a fan convention to sell autographs and photo ops, something which she initially found distasteful, but seems to have accepted as she carefully praises her fans for their devotion. These public performances are juxtaposed with their private banter at the large compound where both women have homes. Their interactions in these scenes feel both like well-worn comic shtick played to the cameras and a demonstration of the genuine warmth and constant conflict bubbling between them, which is more playful now than it was in the past. As Fisher packs a bag for Reynolds, her mama cheekily reminds her not to turn her bum to the camera. In another moment Fisher barks at her mother about brother Todd, "what does he get in the will and what do I get?" It's all hilarious and deadly serious at the same time. This affectionate push and pull is essentially what Fisher and Reynolds are willing to reveal about their relationship, though when Carrie quips to a reporter, "we are always on the red carpet," you wonder if there is much more to see. There's a busy, chaotic flow to their interactions: they will be quiet and intimate one moment, then suddenly break into song together and follow the reverie with an argument. They're both clearly a lot to handle and they enjoy dealing with each other. Before Reynolds and Fisher devastated their fans with their abrupt deaths, they had endured plenty of heartbreak themselves. As much as they try to face life with humor, it is clear the entire family is hurt deeply by things like the lack of support for a Hollywood Museum to house Reynold's massive costume and prop collection. Todd tears up while talking about the eventual auction of the increasingly expensive-to-maintain artifacts, well aware that parting with these items broke his mother's heart. It is also difficult to watch Fisher manage her varied relationships with her aging parents. In a 2010 clip, she is shown with her dying father, the singer Eddie Fisher, finally connecting with him as she has wished to her entire life, making the heartbreaking confession that she tried to be funny as a child so he would want to be with her more often. Where her mother is concerned, she struggles because of their lifelong closeness, anticipating the inevitable result of her declining health. Watching her collapse in tears because she fears for her mother's well-being and dignity as she accepts a lifetime achievement award from the Screen Actor's Guild, the acid-tongued superstar becomes painfully relatable and you see how much strain remains behind the scenes in show business. Those moments of vulnerability are in great contrast to Fisher's wise-cracking, foul-mouthed persona. Her wildly decorated house, which features an impressively-endowed lion's rear end sticking out of a wall, joke signs on every surface, and even the massive image of a Prozac pill embedded in the kitchen floor, begin to seem like a defense against the pain she has faced and an expression of her own exhaustion with her intense personality. Reynolds also allows the cameras to glimpse her at low moments. Though she seems hardwired to keep on smiling, she isn't afraid to admit to her grief, like when she barely holds off tears while presenting items in her memorabilia collection that are for sale. Though her body is giving out on her, she insists on living the life that her spirit craves, and as she shoots across a Vegas casino floor in her Little Rascal, a determined look on her face, you can't help but be impressed by the power she finds in sheer will. It was often difficult to watch Bright Lights. I'm still getting used to the idea of these two being gone. It is heartbreaking to see the family and friends who love them and know the loss they would be experiencing a year later. But what a gift it is to have this film to remind us of why we love them. I too saw this movie on HBO for the first time since the deaths of both of them. Such great personalities. They found a way to cope with life. They poke fun and laugh at all of their tough times. It's a great way to get through. I agree Fran, you've got to laugh and they knew how to do that better than anyone. I salute to the both of them they are great actresses.. They create great movies. Omg how have I never heard of this movie until now! I need to watch it tonight, thanks for the req! It's very touching. Hope you enjoy it!